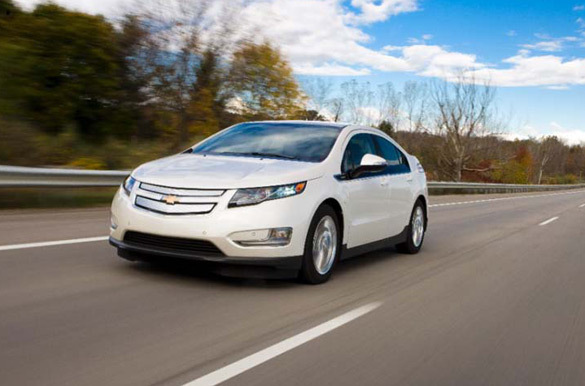 The Chevy Volt has undoubtedly had a slow start in terms of sales – only moving 7,671 units in 2011. While it is still evident of slow but steady economic recovery, consumers are starting to catch onto what the new Chevy Volt really has to offer and have tripled sales accounting for GM selling 23,461 Volts in 2012. The Chevrolet Volt, commonly misrepresented as a hybrid similar to the Toyota Prius, is actually an electric-powered vehicle that happens to utilize a gasoline engine acting as a generator to recharge its electric motor battery. The Chevy Volt remains to be one of Chevrolet’s lowest-selling cars beating out the 14,000 Corvettes sold last year by just over 9,000 units. Moreover, the Volt outsold the Nissan Leaf in 2012 where Nissan only managed to move 9,800 units, a minuscule increase of just 1.5% from 2011. The Nissan Leaf is the Volts nearest competitor, which at one time in 2011 outsold the Volt. The biggest factor contributing to the increase in Volt sales throughout 2012 was its increased popularity in California, which tends to suffer from a massively crowded road grid. The Volt, due to some minor engineering tweaks, is now eligible for California’s carpool lane stickers for the first time. Of course the negative press from sources reporting on a fire case well after an accident and GM voluntarily recalling the cars to fix the potential issue did not help matters. In the end, it was found that even before the recall the Volt did not pose any greater fire risk than other cars on the road today. “More than half of all Volt sales are in California,” said Alec Guitierrez, an analyst with Kelley Blue Book. GM also claims that the care has been catching on in other markets, such as Chicago and Michigan. Price point of the Volt due to new incentives bringing some payments down to as low as $289 a month have contributed to the Volts sales increase. Additionally, the $7,500 tax credit is also an enticing figure even if the car price starts at nearly $40,000. Ownership of the Chevy Volt has been easy on pocket books where owners have claimed paying just pennies to keep it going and virtually reaching triple digit gas mileage numbers. The Chevrolet Volt can drive on average 38 miles on full plug-in-electric power according to EPA estimates before the gasoline engine switches on to generate power for the electric powertrain, essentially extending the range.